[...] Yesterday I called the office of special counsel Robert Mueller, the former U.S. attorney for Boston, who knew all of the six or seven FBI agents who were accused in federal court of taking payoffs from gangsters. 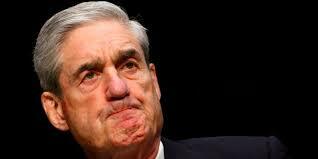 But it makes perfect sense that Mueller would want somebody from the Boston office to handle his frame-up, I mean investigation. Who knows more about railroaded people who didn’t commit a crime than the Boston FBI office?